Joseph Hardwick Pemberton was born on 5 October 1852 the son of Joseph and Amelia Elizabeth Pemberton, of Havering-atte-Bower, Essex. His life-long companion and sister Florence was born on 1 December 1857. Joseph was raised in a rose atmosphere and loved the rose when he was a child in petticoats. His earliest recollections of church-going were associated with the rose. Every Sunday morning the family would go to church where they had their own enclosed pew. They sat around facing one and other and Joseph could see nothing but the gallery above. When it came time to sing the hymns, Joseph would stand on the seat so that he could see over the pew. In a neighbouring pew, there was a gentleman who appeared every Sunday with a rose in his buttonhole. Joseph admired that rose and resolved to wear as good if not a better on the next Sunday. Every Sunday morning he would search the gardens for a rose to wear in his button hole which would be as good, if not better, than the gentleman's. However, the judging was usually adverse to Joseph as his flowers were handicapped by the staging. Joseph was still in petticoats, and wore a light grey Norfolk jacket, with large mother-of-peal buttons down the front and a belt, where as his rival had a black cloak, and the rose had a button hole all to itself. Joseph appreciated how perfectly black showed off a rose and being aware of this drawback he longed for a black cloth jacket with a buttonhole at the side. When Joseph was sent to boarding school he liked to take with him some memento of home and would frequently take a rose in an empty barley sugar tin. The rose he chose was Souvenir de La Malmaision, which he would later use in his breeding programme for its early and late blooming and beery scent. When Joseph was 12, his father taught him how to propagate a rose by budding and he was given his own patch of garden with three red standard roses. He did all his own pruning but they didn't do very well, as the plot was shady and laurels were close by. Many of the garden's older roses were thrust into borders or odd corners to make room for the newer standard roses including Maiden's Blush, Old Cabbage, Red Provence, Tuscany, Lucida, Alpina and Old Monthly. In the centre flower bed, Joseph recalled that standard roses were mixed up with gooseberry and current berry bushes, varieties included Sir Joseph Paxton, Mrs Bosanquet, La Reine, Madam Laffay, Jules Margottin, Gloire de Dijon and Souvenir de la Malmaison, and two perpetually flowering moss roses, Madame Ory and Salet. Joseph's father was a great advocate of standard roses first introduced from France, which he purchased from Thomas Rivers, a Hertfordshire nurseryman. In 1874, shortly after the death of his much loved father, Joseph entered some of the family roses in a rose show and won second prize. He was elated and immediately ordered 50 standard roses from Rivers and a piece of garden was prepared so that they could grow free from gooseberry bushes.In December 1876 the National Rose Society was formed and both Joseph and Florence became members. He was an exhibitor at the first rose show of the National Rose Society in 1877 at St James's Hall and with a couple of years experience of exhibiting roses Joseph was determined to enter the competition. Although he was late submitting his entry to the competition, he badgered the judges until they allowed him to enter his roses. In the class of twelve different varieties there had been forty entries and Joseph was overjoyed to be awarded second place. the schoolroom in Hainault Forest. In those days the district contained only a few cottages. Some months later a mission room was opened for the services and in 1886 the present church (Chapel of Ascension, pictured) was completed and begun to be used for divine worship. Joseph and Florence were partners at rose shows with great success. They travelled all over the country and won the highest honours. Their vintage year was 1896 - starting in Colchester on 18 June and ending in Leicester on 4 August they entered 12 shows, they staged 49 boxes and won 48 prizes including the two Challenge Trophies and 32 firsts. 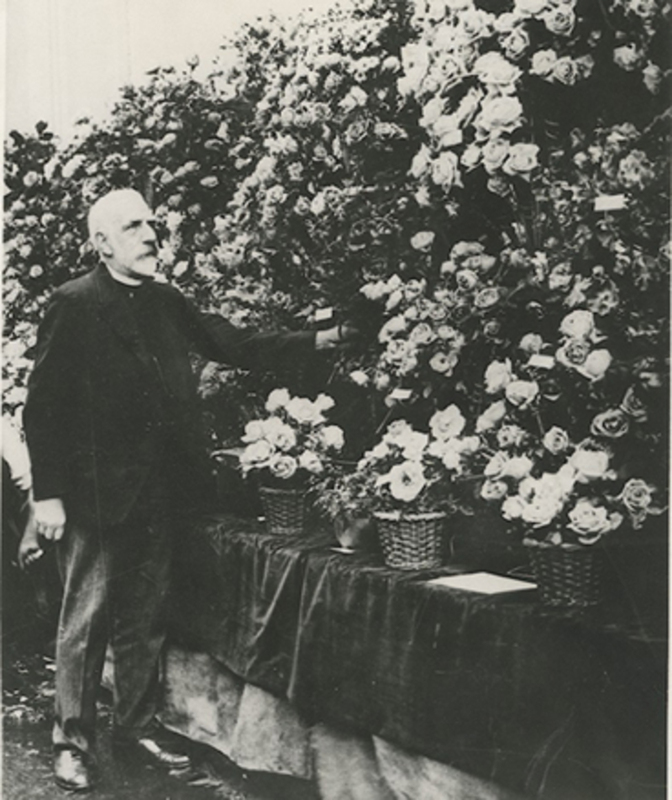 The National Rose Society annually held three shows a year, one of which took place in London, and it was Pemberton's proud claim at the time of his retirement from The Collier Row church in 1923 that since the first rose show in 1877 he had never missed exhibiting at the Metropolitan shows. Joseph loved his Grandmother's old roses, although as a boy he didn't trouble with their names but gave them names of his own, like Aunt Helen's Rose and Aunt Betsy's Rose. The gardener would make up delightful birthday bunches using these deliciously perfumed old fashioned roses, with a frill of scented foliage of geranium, in the style of Victorian nosegays. The National Rose Society did not have an exhibition class for the old fashioned roses much loved by Joseph's grandmother, and they were left at home like Cinderella. One year when the National Rose Society held it's annual show at South Kensington, Joseph took up a box of Cinderella's made up of Maiden's Blush, Aimee Vibert, Rosa Mundi, Red Province and Lucinda, as well as others. He staged them ‘not for competition' and labelled them ‘Grandmother's roses'. The box of twelve varieties attracted considerable attention throughout the day as people rediscovered old and forgotten favourites and, as a result of Joseph's exhibition, grew in popularity again. In 1909, the National Rose Society recognized Joseph's outstanding services to the Society and the rose and he was the first person to be awarded the Dean Hole Award. In 1911 he became President of the National Rose Society for a two year period. After this, with the help of his gardener John Bentall and his wife Ann. he set about to breed varieties of roses that would out bloom his much loved grandmother's roses, which had finished blooming by July, He wanted roses that would survive up to Christmas Day, and survive and bloom after all around them had perished. He originated a new group of varieties of rose which he called Hybrid Musk. These are large bushes, in bloom more or less continuously, bearing flowers of varying size and doubleness, mostly white, pale pink and pale yellow, in gigantic clusters. He chose Trier, a hybrid multiflora offspring of Aglaia (itself a cross of R. Multiflora by the noisette Reve d'Or) as the base (mother plant) for his breeding. In 1919 he began calling his roses Hybrid Musks after Courtney Page, the then Secretary of the National Rose Society used the term in his review of Joseph Pemberton's new rose ‘Pax' in 1917. Prior to this they were still being called Hybrid Teas. By 1896 Pemberton was annually raising between 5,000 and 10,000 seedlings under glass and was growing about 4,000 different varieties of roses in his private collection which surrounded the Round House and The Hall where many generations of the Pemberton family lived. The two properties were connected by a single track which was much used by family members travelling between the two properties. Mostly Joseph would request a pony and trap to travel the short distance between the two properties, so it seems that he did very little walking. 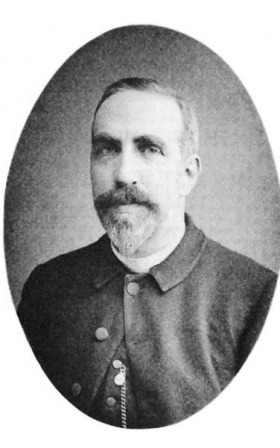 Pemberton was a Diocesan Inspector of schools for 30 years. He enjoyed teaching scripture lessons to the children at the local school and the children soon learnt that if a lesson was a little boring that they could soon distract Joseph with a question or two on roses. He was very much loved and admired by the children and after school he would take them fishing at the island pond behind the Round House, which he had well stocked with fish. All the fish that were caught had to be returned to the pond, and after one incident when a girl tore a trout's mouth removing a barbed hook, Joseph insisted that only barbless hooks could be used in future. After school many of the children would help Joseph with weeding the beds or hoeing the soil and afterwards the children would be treated to cake and lemonade at the Round House. The grounds had three large greenhouses, two of which were full of roses, but in the third one he grew Seville oranges. Miss Florence Pemberton and Mrs Ann Bentall, the gardener's wife, would make marmalade which they would distribute around the village, along with some homemade quince jam. They also had an abundance of apples, pears and plums which were shared among the villagers and the village children were always welcome to pick the windfall. The Pemberton's also kept two cows for milk and a number of chickens, ponies and horses. Pemberton was very respected in rose growing circles and acted as one of the international judges at a show held in Paris each year. He also started his own rose show held every year in the village hall. The most popular class was a single rose in a vase and every child in the village entered this competition, with some roses being displayed in jam jars. The first prize was 12 roses, the second prize was nine roses and third prize was six roses. Pemberton would preside as judge - and would also judge at the local flower show held on the August Bank holiday each year. Apart from roses, Joseph loved sweet peas. However many entrants didn't have much idea how to display them, so Joseph suggested that the best way to stage these delicate flowers was to fill a vase with bull rushes or long straws and fan the sweet peas around them. Of course, once all entries were displayed with equal style it made the judging much more difficult. One of his great ambitions was to produce a black rose. He came very close but never quite succeeded. He always said that if he could have lived another five years then he would have bred a pure black rose. Pemberton was an author of ‘Roses, their history, development and cultivation', which he first published in 1908 and which went into its second edition twelve years later. The book was noted for the line sketches it contained as illustrations to the text, all of which were drawn by Miss Florence Pemberton, the author's sister. In 1902 he wrote and published a book on ‘The Coronation Service' which he researched at the British Museum and incorporated accounts of coronations of all the monarchs from Edward VI to William IV. Two editions were brought out at the time with a third edition being brought up to date to include the coronation of King George. Pemberton was a prominent member of the Romford Cricket Club and had represented his country at the national game. One of his roses is named I Zingari after the English cricket club formed on 4 July 1845 by a group of Old Harrovians and is one of the oldest cricket clubs still in existence. The club was at its strongest in the nineteenth century. It played seventeen first-class matches between 1849 and 1904, including matches against the Australians in 1882 and 1884. Pemberton was taken ill in 1926. He insisted in being propped up in bed so that he could admire his roses through the window. He died in July aged 74 and unmarried. Very little is known about Joseph's elder sister, Helena, except that she was born in 1847, lived at the Roundhouse and died in 1918 unmarried, and along with many generations of the Pemberton and Barnes families she was buried in the local church of St John's which is next to The Hall. When Pemberton died he left the rose fields to his two gardeners. The rose fields at the Round House were gifted to John Bentall, and those at Stapleford Abbots to Spruzen. However, Florence wished to continue the business after her brother's death, so she purchased the rose fields back. When Florence died in 1929 she gifted the rose fields back to Bentall and Spruzen, and all the staff in the house received a year's wages. Mrs Ann Bentall (John Bentall's wife) shared the Pemberton's passion for roses and was a very experienced budder, a talent she passed on to her son, Jack Bentall. It is thought that Jack Bentall continued with the rose business until around the 1970's, until it became unprofitable to maintain the rose fields. Many enthusiasts limit the use of the term "hybrid musk" to those roses specifically bred by Pemberton until his death in 1926, plus those introduced by Bentall, his gardener who carried on his work. Pemberton's Hybrid Musks were his only children. Joseph's last surviving cousin, Emily Ann Pemberton-Barnes, eldest daughter of William Pemberton-Barnes lived at The Hall, next to The Round House, and died aged 90 in1944. Emily gifted the Hall to the Church Pastoral Aid Society and Saint Francis Hospice later purchased the property in 1978. Miss Emily was very well respected and admired by the local community, and the local children used to call her ‘Aunty'. Havering-atte-Bower Cricket Club was founded around 1860 by the villagers who wanted to play cricket on the village green and Miss Pemberton-Barnes bequeathed the land at Broxhill Road to the villagers just prior to her death. Emily Pemberton Barnes Hybrid Tea introduced 1928 Accession no: 2010-648 E. Pemberton-Barnes was named after Joseph Pemberton's last surviving cousin, who was the eldest daughter of William Pemberton born in 1853. She died in 1943 at the age of 90. She was known in Tower Hamlets and in particular Bethnal Green as the ‘Angel of the East End' for her charitable legacies which are still in operation today. "Colour light pink, shaded cerise. Flowers large and full, suitable for specimen blooms, and bedding growth vigorous." Check RNRS Quote Lovely pointed large blooms in shades of carmine to soft pink. Flowers continuously from June to November. Delicate scent with hints of damask. John Barnes (Joseph's grandfather) was originally a wealthy landowner from Blackmore, and he and his wife Ann Barnes (senior), moved into the Round House around 1833 with their two daughters, Ann and Amelia (Joseph's mother). John also owned the Bower House and much of the land in the area. Raising children was a heartbreaking affair for John and Ann, Robert Smith Barnes died 5 March 1934 aged 33 weeks, John Thomas Barnes eldest son died 26 February 1835 aged 3 years and six months, Cecily Barnes, youngest daughter died on 26 February 1835 aged 23 weeks, and Thomas John Barnes, third son, died on 10 October 1841 age 2 years. Ann Barnes (senior) continued to live in the Round House until her death in 1869 when Amelia, the family's second daughter inherited the Round House and lived there with her husband Joseph Pemberton (senior), together with their children Helena, Joseph and Florence Pemberton. William Pemberton (Joseph's uncle) married Ann Barnes around 1849 when he was 31 and she was 21, and as a mark of respect to Ann's father, they became Pemberton-Barnes. Although there is good reason to believe that the change in name was to enable the inheritance of ex-Royal land of the Liberty, most of which was granted for life and through the chain of heirs. If the chain had been broken then the properties returned to the crown, but by keeping the name and becoming official heir, they kept the land. The establishment of the name chain enabled a so called "concorde", a land testamentary device which produced the same effect as the royal land inheritance. William and Ann Pemberton-Barnes moved to the Hall around 1858. William died in 1872 aged 53, but Ann died many years later in 1912 aged 82. They had nine children - William Herbert, Emily Ann, Ernest, Amy Clara, Percy, Sydney, Lilia, Reginald and Gertrude, but sadly Reginald died aged 6 months in 1868. During the 1960s a diary was found in the Round House attic. The year was 1860 and originally it was thought that the diary belonged to a Mrs Catherine Stringwell of Westbourne Terrace Islington. However, from reading the contents it became obvious that the diary belonged to Ann Pemberton-Barnes. The diary gives an interesting snapshot of that time, when Joseph Pemberton would have been aged 8. The family was deeply devoted to religion and Ann would go to Church twice on Sundays and would read to the children on Sunday evenings. During the year Amy Clara turned 3, Ernest 5, Emily 7, Herbert 8 and Percy was one year old, William 41 and Ann 31, Amelia Pemberton (Joseph's mother) was 29 and Florence Pemberton was 3. Birthdays were celebrated quietly with a family meal. During 1860 there were many visitors to The Hall and the Round House and Ann and Amelia made frequent trips to collect visitors from Romford Station. Guests included Mrs Catherine Stringwell, Mr and Mrs George Smith (a nephew) Mr & Mrs Bidewell, James and Robert Hawkesley, and Fred Smith and his wife. Entries state that on 7 January Amelia went to fetch Mrs Gilmour, 11 August Mrs Fisher's children and nurse came to stay. There were also many journeys to London, presumably by train. Entries include visits to the zoological gardens, Madam Tussauds, Crystal Palace and on the 9 November the family went to the Lord Mayor's Show. Ann seemed very preoccupied with the children's health with various visits to the dentist and doctor. This was the year when all the children contracted chicken pox. Ann would frequently visit neighbours by horse drawn coach, however, William would travel by horse. One account on 29 November states that on a journey to Ockendon, William's horse fell and he sprained his knee. 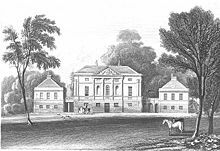 On New Year's Eve both Joseph (senior) and William went to Hare Hall for dinner (home of Joseph's eldest Uncle, Robert Pemberton), which is thought to be for commercial rather than social reasons. Mentions of William's business interests are few, but there is reference to a visit to the brickyard to see them making pipes, and that William went to Brentwood to see a mowing machine. Shopping trips were mostly to London rather than Romford. Among the purchases listed are beads for children's little fancy things, a bed spread, a trip to Soho Bazaar to purchase hats for the children, a telescope for William, and tall candlesticks and china. Ann and Amelia also had their portraits taken on one of these frequent trips to London. Finally there is the sad story of the parrot. 3 March the parrot got out of the cage. 4 March the parrot is sighted in trees near the green. 6 March Dance fetches the parrot home. 7 March the poor parrot died. 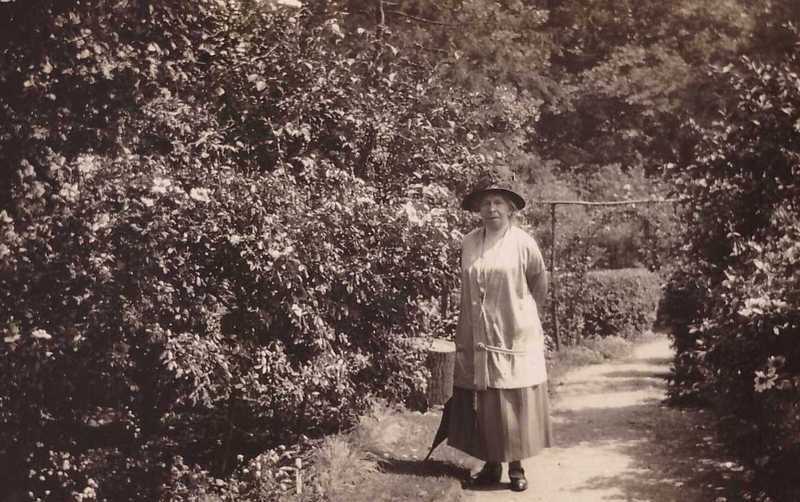 Ann Pemberton-Barneswas very active in local affairs and she was the first President of the Havering Flower Show and Garden Society. She was very devoted to religion and with other parishioners raised £3,000 to build a new Church of St John's which was consecrated 13 April 1878. 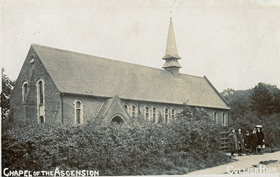 In 1897 a new peal of bells was gifted to the church by parishioners and Ann Pemberton-Barnes dedicated the treble bell to her husband and children "to the Glory of God in loving memory of her late husband and their children Lilla and Reginald" and in May 1902 she also gifted two oak chair desks. There is also a record of Mrs Ann Pemberton-Barnes gifting a reredos and Mrs Pemberton a Holy Table. Ann Pemberton-Barnes was very well thought of by the village children, and every Easter she would give each child a chocolate Easter Egg and Mr Eric Smith would give each child a hot cross bun. She would also give a garden party every summer in the grounds of The Hall, where there would be lovely things to eat and lots of lemonade. Eric Smith of Fernside was one of the school managers. He must have been a favourite of the local children, as apart from the hot cross buns at Easter, he also organized an annual trip to the seaside and a Christmas Party where he would distribute gifts to the village children. William Pemberton-Barnes founded the Pemberton-Barnes Estates Company which owned pubs and several hundred houses in what is now Tower Hamlets. The headquarters was in Mile End Road and the company was so extensive that it maintained its own staff of plumbers, carpenters and other tradesmen to keep the properties in good repair. At the time of her death, Miss Emily Pemberton-Barnes owned virtually all the shares in this company and in her will, she set up a trust to benefit many charitable organisations. She was known in Tower Hamlets and in particular Bethnal Green as the ‘Angel of the East End' for her charitable legacies. Unfortunately war damage and improving properties, for example, by providing indoor toilets, and the compulsory purchase of some of the houses by the Council meant that none of the beneficiaries received anything before 1970. Later that decade, the trustees began selling the East End Properties and investing the proceeds in commercial buildings in the West End. Profits soared and the beneficiaries of the will trust began to see the results. Robert Pemberton (Joseph's eldest Uncle) farmed near Chase Cross in Collier Row before purchasing Hare Hall, Gidea Park, a mansion and 71 acre farm, in 1852. Although John Barnes was almost a generation older than Robert, they had children at the same time, and the children's baptisms overlapped each other at the local church. John Barnes was one of the first "Gentlemen" recorded at St John's. The friendship between Robert Pemberton and John Barnes, led to Joseph and William Pemberton being introduced to their future wives, Amelia and Ann Barnes. Both brothers were significant land proprietors, and owned much property in Sussex, where they also holidayed regularly. Robert and Elizabeth Pemberton had 12 children, Mary, Robert, Joseph John, Elizabeth Ellen, John Thomas, Walter Augustus, Alfred Augustus, Annette Amelia, Marion Arabella, Ann Susette, Fanny Edith and Sydney Bedford, although sadly both Walter and Sydney died in childhood, and with the exception of Robert Pemberton Junior, the remaining siblings continued to live at Hare Hall unmarried and childless. Around 1891 Elizabeth Ellen left Hare Hall and moved to Leytonstone with her much younger sister Fanny. In 1894 Robert Pemberton (senior) died aged 78 and probate show his wealth at £12644 12s. When John Barnes died, the three Pemberton brothers became the driving force in the area and all are listed in the parish registers as "Gentlemen". By sticking together with their families for several decades, and with the original support of John Barnes, they built a powerful family base which protected the area from further development. There is a Romford legend that Miss Havisham from Great Expectations is based upon one of Joseph's cousins, Elizabeth Ellen, the daughter of Robert and Elizabeth Pemberton, who lived at Hare Hall. It is possible that Robert Pemberton fell upon hard times financially as Hare Hall only had one maid to care for such a large mansion and it became run down and rather dilapidated, like the decaying Satis House of the book. The family's six daughters might never have married because their father could not afford a generous dowry, or perhaps they were just unlucky in love. Research by Prof Ged Martin suggests that the Miss Havisham rumour is untrue. Although Dickens knew the area well and both Chigwell and Chelmsford feature in his books, Great Expectations wasn't written until 1860 and Dickens had been planning the story since 1855. This would have put Elizabeth Ellen Pemberton still in her teens and perhaps at 15 too young for a broken heart. So perhaps the legend originated backwards. Elizabeth, middle aged and toughened by house and farm work and romantic disappointment became labelled ‘Miss Haversham' by the Romford gossips. Although Dickens never visited Australia he saw it as a place of opportunity and he encouraged two of his sons to emigrate there. Australia features in detail in many of his books, including Great Expectations. He obtained his information on colonial life from two Sydney researchers and from numerous friends and acquaintances who had settled there. Although not proven, Miss Havisham may have been based on Eliza Emily Donnithorne (1827-1886) from Camperdown, Sydney, who was jilted by her groom on her wedding day and spent the rest of her life in a darkened house, with her wedding cake left rotting on the table, and with the front door kept permanently ajar in case her groom should return. Robert Pemberton, the eldest son of Robert Pemberton (senior), emigrated to Australia shortly after he took his BA at Cambridge in 1861. He died aged 79 on 1 December 1917 and was survived by his children Lydia and Henry (his sons Robert and Thomas were killed in action in WWI). He was also a loving Grandpa to Tom, Florrie, Bob, Lily, Lydianne, Nellie and Eileen. Pemberton's Hybrid Musks will be widely loved by rose afficionados until someone invents roses with the same delicacy of form, understated beauty, completely care-free constitution, good fragrance and freedom of blossom. "If you want the legacy of a humble man, wrapped in colour, health, and fragrance, get yourself a hybrid musk". (rirs.org). 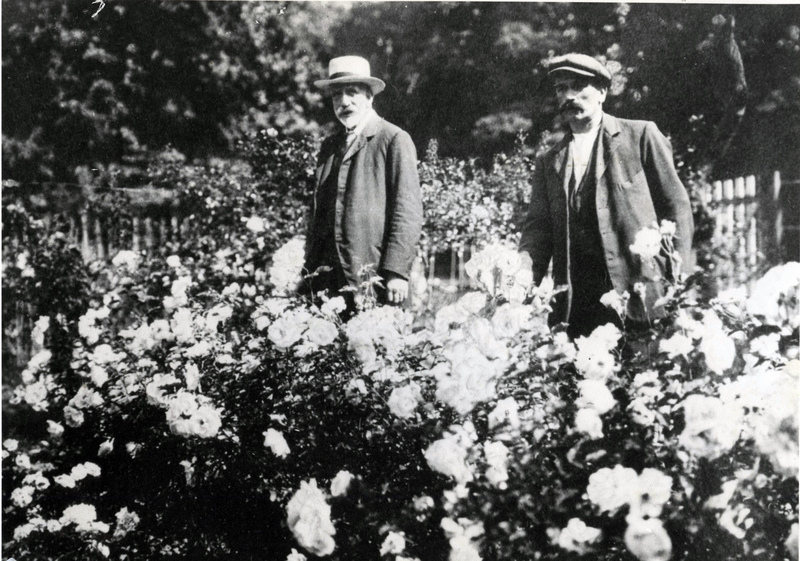 Photographs courtesy of Havering Libraries Local Studies, National Rose Society, Francis Firth, Freda Rhodes.